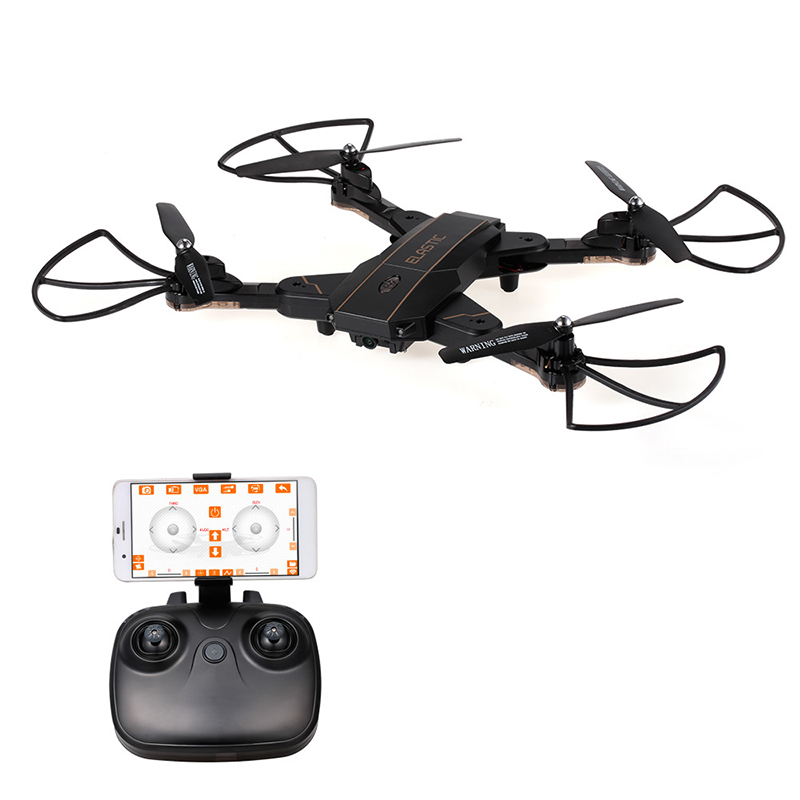 Successfully Added TKKJ L603 Folding Drone - FPV Camera, Optical Flow, Altitude Hold, Smartphone APP, Headless Mode, Gyro Flying to your Shopping Cart. This cool RC drone has a stylish fuselage with folding arms making it easy to transport. It is lightweight and comes with a full set of features making it easy and enjoyable to fly whatever level pilot you are. With the altitude hold and optical flow, the drone can maintain a position more accurate so you will have an easier time flying it and get smooth images and video. The L603 drone also benefits features one key take of and landing as well as a return to home function. You can fly the drone in headless or normal mode and with colorful LEDs, it's easy to keep the drone orientated. The drone's camera can be synced via Wi-Fi to your smartphone so you can see the live footage as you fly. You can also use the smartphone app to take direct control of the drone and fly using the on-screen controls or with the gyro mode that allows you to tilt and turn the phone in order to control the drone. This is a really fun and intuitive way to fly which when partnered with the FPV gives you a great sensation of flying. The powerful motors on this lightweight drone make it easy to perform flips and 360 rolls providing you with an enjoyable flying experience that will keep you coming back for more. The TKKJ L603 folding camera drone comes with 12 months warranty, brought to you by the leader in electronic devices as well as wholesale drones and quadcopters..